New business opportunities rarely conform to the way the industry traditionally approached the market, which is an opportunity for newcomers and flexible small and medium-sized enterprises to be the first in recognizing and taking advantage of emerging market opportunities. However, newcomers and small and medium-sized enterprises may be too young or too small to possess all the required competencies and resources. They need to organize themselves in business networks, in which business partners complement each other. This article suggests a sketch of the form and methods of a framework that allows the ‘Quality of Information’-based discovery of potential business partners who can offer resources like sensors, actuators, and processing services. In the Real World Internet, this would enable small and medium-sized enterprises to create an appropriate business network and to quickly react to emerging business opportunities. Adhering to the framework of the traditional market approach can lead to firms missing out on potentially valuable uses of Information and Communication Technology (ICT) which do not fit their present business model (Chesbrough, 2010). Especially established companies and traditional industry leaders tend to protect what they have and run the risk of undervaluing fast growing market segments and changes in industry structures (Drucker, 1985). This tendency leaves space for newcomers and small and medium-sized enterprises (SME) to compete against them and realize new business opportunities. A business model always needs to be adjusted to the assumptions about the environment of an organization, including: the market, the target customers, the technology and its dynamics, and the industry (Drucker, 1994). According to Carneiro, Almeida, Azevedo, Kankaanpaa, and Shamsuzzoha (2010), SMEs need to transform their business models and establish dynamic and non-hierarchical business networks (NHBN) in order to respond to market opportunities. The Theory of Business (Drucker, 1994) of NHBNs is characterized by the precondition that all participating organizations share a common mission, in other words, the collaborative realization of a business opportunity. To accomplish this mission together each organization contributes its core competencies to the business network, which complement each other. An important point is to conciliate different knowledge, purposes, and resources. NHBNs do not operate forever: whenever assumptions about the environment of the business network or about emerging business opportunities cannot be reconciled anymore, the business network needs to be reorganized or disbanded. Essential needs for the SMEs are appropriate business models for each participating organization and for the business network as well as the ability to create and re-arrange a business network. These prerequisites are the basis for surviving in an environment that is characterized by the need to quickly react to current market dynamics while assuring a fast time to market and sustainability. To master these requirements, ICT tools can support SMEs in discovering potential resources for (re-)use, in finding business partners to collaborate and in evaluating the quality of the information received by the business partners. Emerging ICTs like (Wireless) Sensor and Actuator Networks (WSAN) are about to witness a recent industry and market change. WSANs allow the digitalization of real world phenomena in the Internet infrastructure, in what is called the Real World Internet (RWI). Essentially, this means that the Internet is expanding its reach to the real world by integrating the physical world into the digital world. The increasing deployment of WSANs enables a transformation from vertically integrated solutions to horizontal solutions based on the re-usability of sensors information from one WSAN for multiple applications (cf. e.g., Telenor Objects: Haugli, 2009). Another trend is the inclusion of processing components that collaboratively extract high level information out of the sensor data and trigger actions in the real world. Current available frameworks (e.g., Pachube) only make it possible to browse sensors based on their type and location. However, they do not support the dynamic, automatic collaboration between components in order to process information and react to the real world; nor do they make it possible to filter resources, which could provide more trustworthy information. These technologies enable a fast development of new business applications and a quick response to market opportunities because resources like sensor information and processing services are already available and ready for re-use. Frameworks and platforms support the discovery of resources available for re-use and of potential business partners (e.g., offering processing services) to collaborate with. In this paper, we present the design of such a framework that enables SMEs to dynamically and quickly form NHBNs in order to collaboratively develop Real World Internet services to meet novel business opportunities. Within this framework, we suggest models and methods for ensuring high quality real world information management, which build the foundation for trustful relationships within NHBNs. 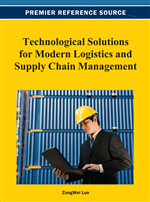 To demonstrate these concepts and to indicate requirements, we use concrete examples from logistics and supply chain management.